A funeral procession pulled into a cemetery. 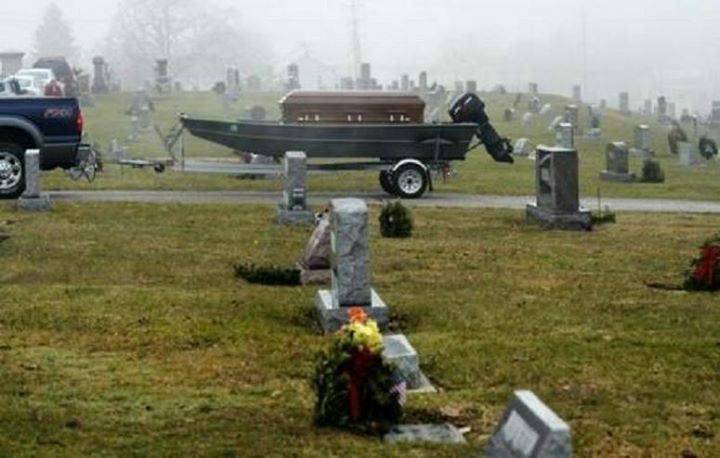 Several carloads of family members followed a black truck towing a boat with a coffin in it. Created about 3 yrs, 8 mths ago (July 27, 2015). Updated about 3 yrs, 8 mths ago (July 27, 2015).